Add mustard seeds, garlic and ginger in a blending jar. Add little water and blend it into smooth paste. Take it out from the blending jar and keep it aside. Heat little oil in a pan, add chopped potato and fry it for 4-5 minutes on medium flame. Add drumstick and fry it with potato for 2-3 minutes on medium flame. Take out the fried potato and drumstick in a plate and keep it aside. Add oil in the same pan and let it heat properly. Add cumin seeds and fry it for few seconds, reduce the flame to low. Add blended masala paste, turmeric powder, red chilli powder, cumin powder and coriander powder. Mix it and fry the masala for 2 minutes on medium flame, keep stirring. Add chopped tomato, cover the pan and cook it on low-medium flame for 4-5 minutes, keep stirring in between. Add one glass of water, cover the pan and let the curry boil on high flame. Add fried vegetables and salt to taste, Cover the pan and cook it for 7-8 minutes on low flame. 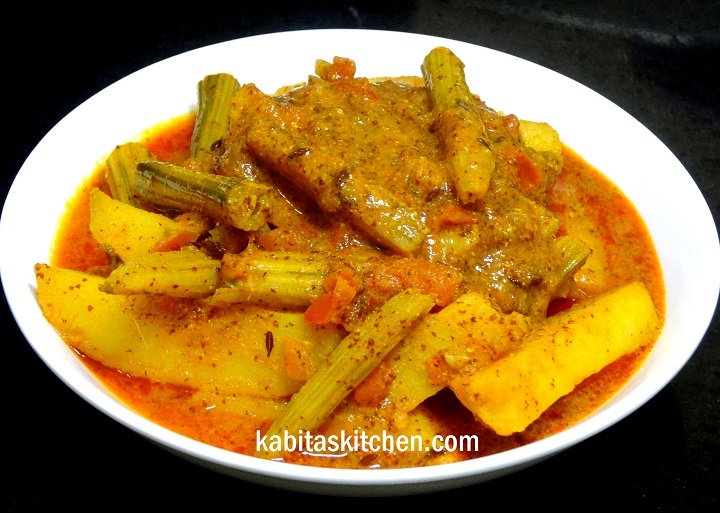 Turn off the flame and ready to serve with plain steam rice or jeera. Heat a pan, Add flattened rice and roast it for 3-4 minutes on low-medium flame. Once the flattened rice turns crispy, take it out in a plate and keep it aside. Add garlic and green chilli in hot oil, fry it for few seconds on low-medium flame. Add onions and fry it for 2-3 minutes on low-medium flame. 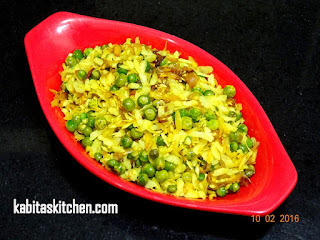 Add green peas, turmeric powder and salt to taste, mix it properly. 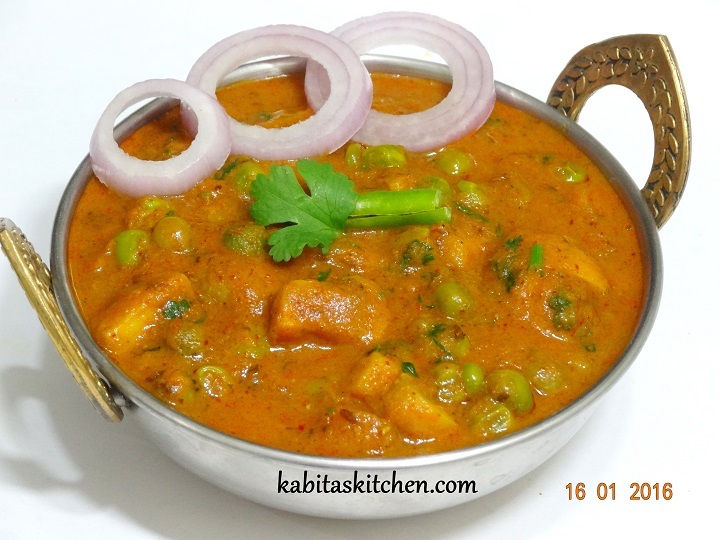 Cover the pan, cook it for 4-5 minutes on low flame or till the peas are cooked properly. Add roasted flattened rice, mix it and cook it on medium flame for one more minute, keep stirring. Turn off the flame and ready to serve hot. You may sprinkle little black salt to enhance the taste. 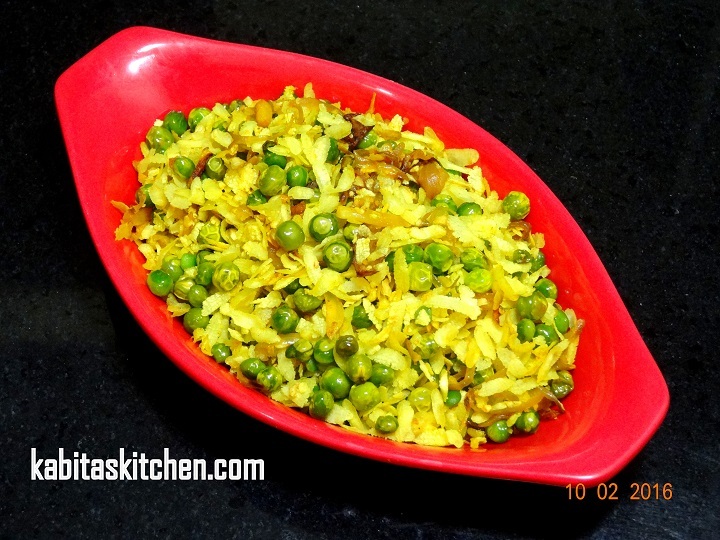 Serve it instantly otherwise the poha will be soft and chewy. 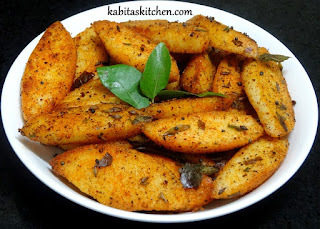 Add cumin seeds and fry it for few seconds on medium flame. Add ginger, green chilli and garlic, fry it for a minutes on medium flame. Add chopped onion and fry it for 2-3 minutes on medium flame, keep stirring in between. Add Chopped tomato and cook it for 3-4 minutes on medium flame, keep stirring in between. Add turmeric powder, red chilli powder, cumin powder, coriander powder and black pepper powder. Mix it and cook the spices for a minute on low flame. Add paneer, salt , mix it and cook it for 2 minutes on low flame ( cover the lid). Add garam masala powder and slitted green chilli, mix it and turn off the flame. Serve it with hot paratha and puri or as a starter. Heat a pressure cooker pan, add oil and let it heat properly. 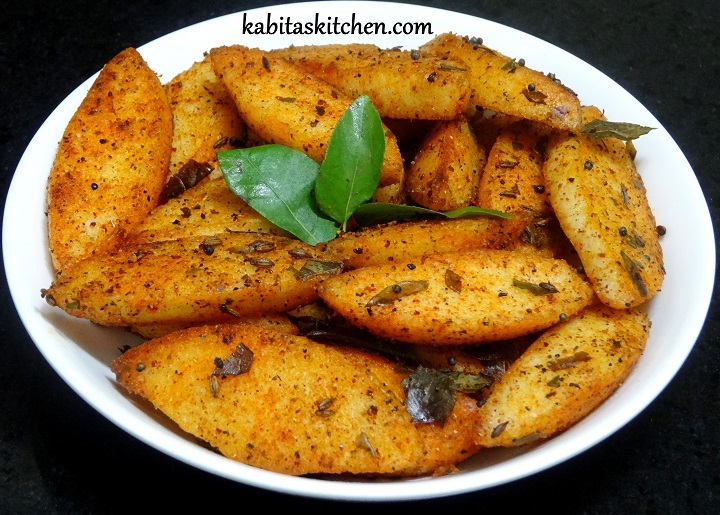 Add asafoetida, dry red chilli and cumin seeds, fry it for few seconds. Add crushed garlic, fry it for a minute on low flame. Add chopped tomato, cook it for 3-4 minutes on medium flame, keep stirring in between. Add washed dal, turmeric powder and mix it properly. Add 3 glass of water, green chilli and salt to taste, stir it. Close the lid of pressure cooker and cook it for 4 whistle on medium flame. Turn off the flame and let the cooker cool down completely. Open the lid, blend it to make it smoother using a whisk or a dal ghotni. Add coriander leaves and ready to serve. Cut the idli into slices. Heat oil in a pan, add cumin seeds, mustard seeds, curry leaves and fry it for few seconds. 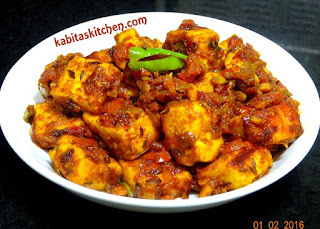 Add idli, mix it and fry it for 2-3 minutes on medium flame, keep stirring in between. Add sambar masala, red chilli powder, dry mango powder and salt, mix it properly. Fry it for 3-4 minutes on low-medium flame, keep stirring in between. Increase the flame to medium and fry it for a minute, keep stirring. Turn off the flame, serve it hot. Heat oil in a pan and fry chilli, ginger and garlic for few seconds on medium flame. Add onion and tomato, fry it for 2-3 minutes, keep stirring in between. Take it out in a blending jar, blend it into smooth paste(do not add water). Mix it and fry it for a minute on low flame. Add green peas, Fry it for a minute(Fry it for another 2 minutes if you are using fresh green peas). Add blended paste and mix it, cover the pan and cook it for a minute on low flame. Add mushroom and salt, mix it, cover the pan and cook it for 4-5 minutes on low flame. Add 1/2 glass of water and stir it, Cover the pan, cook it for another 4-5 minutes on medium flame. Add garam masala powder and kasuri methi, mix it and turn off the flame. Take it out in a serving plate, garnish with coriander leaves. Ready to serve with roti, rice, paratha, kulcha etc.